Two awesome events this week (March 15th/16th) with CODEPINK DC! 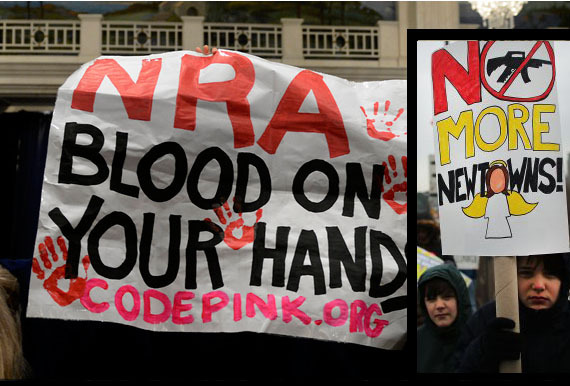 Brave New Films Presents: Making a Killing: Guns, Greed and the NRA-- the DC Premiere! About: Join us for an anti-gun skit and viewing of Making a Killing: Guns, Greed and the NRA. Doors Open at 6:30pm, Film Starts at 7:00pm, Panel at 8:30pm. About: Join us to protest water contamination in Flint! EPA Administrator Gina McCarthy and Michigan Governor Rick Snyder will be attending. We'll have signs and supplies to share!